At Norwich Film Festival (#NFF2019) we love watching the fantastic variety of high-quality submissions we get from both local, national and international filmmakers. On this page you’ll find all you need to know about submitting to the festival including information around our accreditation with the British Independent Film Awards (BIFA) and being one of the best-rated film festivals in the world (thanks, FilmFreeway!). We are proud to mention that we are a British Independent Film Award (BIFA) qualifying short film festival. Only 55 festivals around the world are on the list, which includes Cannes, BFI London Film Festival, and Tribeca (and now Norwich!). For more information about BIFA qualifying film festivals please click here. Oh and did we mention, we are also rated in the Top 100 Best Reviewed Film Festivals at FilmFreeWay? Also, in 2016, The Metro named the Norwich Film Festival as one of the Top 10 UK Film Festivals You Need to Know About! Entries are open to both UK and international filmmakers and the following fees apply. We are also a verified Gold festival at FilmFreeWay! There are five competitive categories with prizes for this year’s festival. As we are a short film festival, please note, all films must be under 25 minutes long. Any films longer than 25 minutes will not be accepted. Thanks to the success of our 2018 festival we are thrilled to announce that we are in a fortunate position to provide cash prizes worth up to £5000 in total for 2019. Also all of 2019 winners will receive a Norwich Film Festival award and certificate, and priceless industry feedback (where possible) from our judges. Any film 25 minutes or under. Any genre, any style. Top Prize £1000. We are pleased to report this award will be sponsored by Arnolds Keys. Any animated film 25 minutes or under. Any genre, any style. Top Prize £1000. Any film, any genre, any style, made (or predominantly made) by students. 25 minutes or under. Top Prize £1000. Any film made in the Eastern Region (Norfolk/Suffolk/Cambidgeshire or Essex). 25 minutes or under. Top Prize £1000. 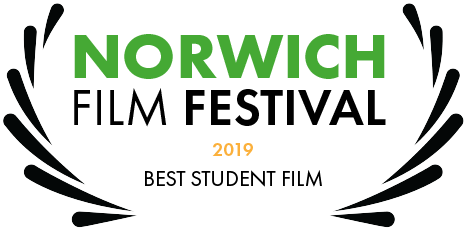 The winning films of 2019 will also have the chance to win a variety of prizes (please note Festival Staff will allocate prizes to which categories they deem fit). A copy of Vegas Pro. (Worth £449 courtesy of our partners at Vegas Pro). A VideoMic Pro + donated by Rode Microphones. (Worth £224 courtesy of our partners at Rode Microphones). One Year’s Subscription to iPitch.TV (worth £220 courtesy of our partners at iPitch.TV) Looking for a way to pitch your idea for a television show or movie? iPITCH.TV offers a next generation platform for creators of original pitches for TV, Film & Digital Media to connect directly with Hollywood Producers and Studio Executives and gives creators industry pro advice on how to pitch a television show or feature film. Pitch your idea for a Movie, Screenplay, Television Show, Short Film, New Media Project and more. We’re challenging filmmakers from all over the world to make the best movie they possibly can that lasts exactly sixty seconds. Selected films will be screened throughout the festival and on our web services. We have had some brilliant films sent in previously, and we are really looking forward to this year’s entries. Only $1.50 to enter our One Minute Movie competition. To acquaint yourself with the festival’s full submission rules and guidelines we’ve created a pdf for you to digest. Should you come across any stumbling blocks you can also consult our submission FAQs for help and advice. If you have any other questions about the festival or submissions, please contact us. Connect with us on Twitter or Facebook to be the first to hear about our latest news. You can also subscribe to our newsletter.